You probably know the numbers on income inequality by now: The share of all income going to the top 1 percent of Americans now stands at around 20 percent, which is a big and disturbing number. But what about wealth inequality? As of 2015, the top 1 percent of American households in terms of wealth ownership enjoy 35 percent of the pie all by themselves. The top 10 percent own a staggering 76 percent of all wealth. Furthermore, if we look at inequality across racial groups the picture becomes even more troublesome. 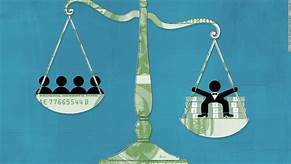 Recent data shows that black households hold about $0.07 on the dollar compared to white households in terms of wealth. How did we get here? And what can be done about it? Presented by Mark Paul, Assistant Professor of Economics at New College.